With mobile devices playing a central role in the lives of consumers in China, tracking where and how they spend their time and money in the mobile world has become a serious business. 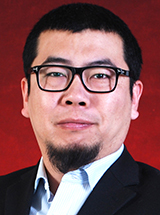 eMarketer’s Andria Cheng spoke to Jerry Zhou, CEO of mobile traffic and user-tracking firm QuestMobile, about emerging mobile app trends, cross-border ecommerce and the growth of internet use in lower-tier cities in China. eMarketer: You’ve worked at leading researchers including Nielsen, Analysys International and China’s state-backed China Internet Network Information Center. What gave you the idea to start QuestMobile in 2014? Jerry Zhou: When I met with clients at some of my former jobs, I found there was a serious problem. Data use in China was often limited to market [data]. Companies may cite research data showing where they ranked in the market, but they didn’t know the number of users they gained or the repeat visitors they had or how long users stayed on their site. They didn’t know where their users came from.